Unfortunately, I missed the cut-off by a day and was charged the $11 for another month. I was a little flustered at first, since I really didn’t have any immediate use for it, and I already have so many monthly reoccurring charges. Then one day when I was on Amazon looking at a product on sale and noticed in the upper corner an add for the 3rd season of the Amazon Original series, BOSCH. What was this? 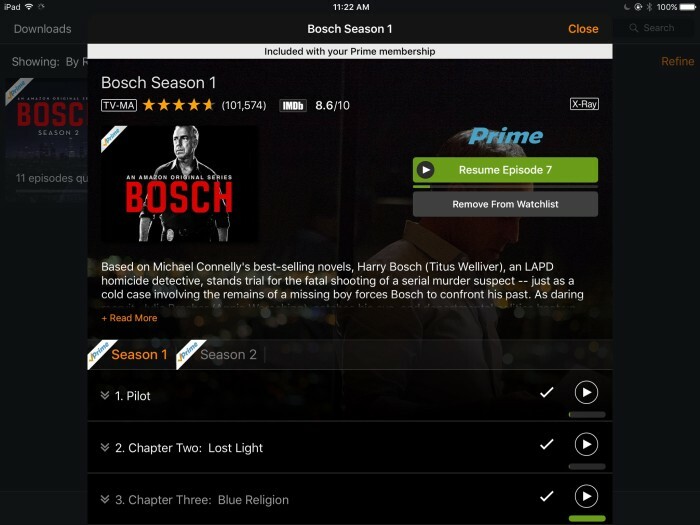 I have read most of Michael Connelly’s BOSCH books and love them, so I was thrilled to see that included with my Amazon Prime account I had access to a vast library of video and TV shows for free. Maybe this Amazon Prime account was more valuable than I had realized? Amazon Prime comes with a few caveats that I never pursued–until now. 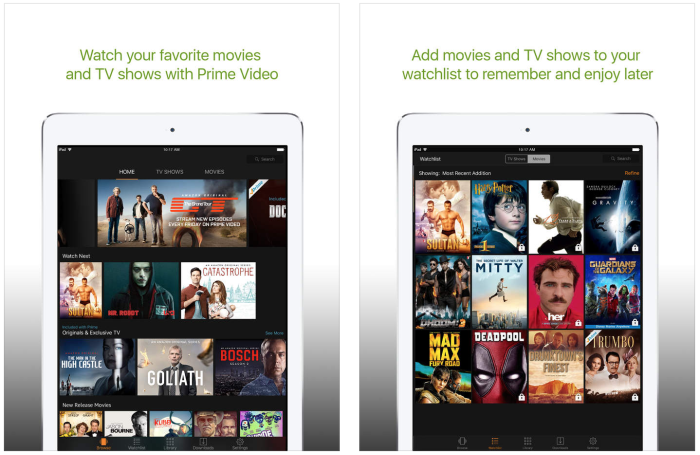 In addition to unlimited, ad-free access to hundreds of Prime Playlist, and unlimited photo storage, you also have unlimited streaming of movies and TV episodes. 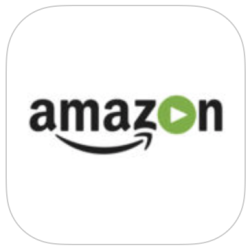 Here’s an App Store link for Amazon Prime Video. 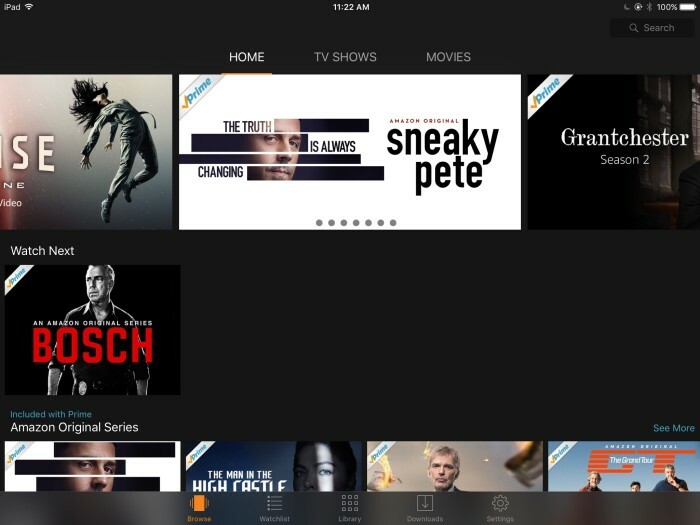 Compatible with iOS 8.0 or later, Amazon Prime Video for iOS is a universal app that works with iPhone, iPad, and iPod Touch. It’s a free service for all Amazon Prime Users, with no additional costs other than the monthly membership you’re already paying.